Car leasing is a fantastic alternative to long term car rental in Milan. The insurance included is certainly a highlight, covering many European countries! Leasing is a tax free buy back programme endorsed by the French government to encourage tourism. There are only 3 companies you can lease from in Milan and these are; Renault, Peugeot and Citroen. The variety of vehicles offered by these three companies are extensive and selection of the best deal can be an overwhelming experience. Udrive takes the hassle from our customers and compare the rates from these three companies to suit your needs. We will simply compare and provide you with the best possible quote from one of these companies within 24 hours of receiving your quote request. We're confident that once you've compared our prices to those elsewhere, you'll find that our deals are unbeatable. Specifically designed for non-European residents and travellers planning an extended holiday in Milan between 17 and 175 days, all vehicles are left-hand drive. It is a great alternative to car hire allowing you to explore the best of Milan as soon as you arrive. Please note that most vehicles include insurance with no vehicle excess, full factory warranty, personal accident insurance, free additional drivers, unlimited kilometres and 24 hour roadside assistance in 8 countries throughout Milan. Milan, the fashion capital of Italy is a large multicultural city with a lot to offer visitors. As the second largest metropolis in the country, its population has exceeded 5 million. Founded by the Celtics, it was also ruled by the Romans, Spanish, Austrians, and French. After a harsh period and extensive bombing under German rule in World War 2, the city flourished in terms of economic and educational success. As well as being the home of two major football teams, it is also the proud host of international festivals and historical sites. Quadrilatero della moda is not for the budget conscious. It is considered the fashion capital of Milan with its many side streets hosting exclusive shops. If you can spend 500 dollars on the plastic, simply for a pair of shoes, this is for you. Otherwise, it still makes for interesting window-shopping. The famous painting of Leonardo, the Last Supper can be seen at the Santa Maria Delle Grazie. This attraction is extremely popular and entrance is limited to a few people at any time. To avoid disappointment, you may want to buy your ticket online before your planned visit. Get a fantastic panoramic view from the roof of the Duomo, a large church boasting of equally impressive neo-gothic and baroque architecture. The cathedral of Milan took nearly six centuries to complete and it is the fifth largest in the world. The architecture of outside is worth admiring but artefacts inside the cathedral are equally as impressive. They included ancient statues and sarcophagus. The Galleria Vittorio Emanuele is a large glass covered dome walkway consisting of a variety of shops and restaurants. The public gardens are a spacious green centre in the heart of the city. Within the parks, there is a lake and it makes a great day out for a family picnic. The Via Dante is a long street showing the diversity of the city. From shops to sidewalk performers, it makes for interesting exploration. 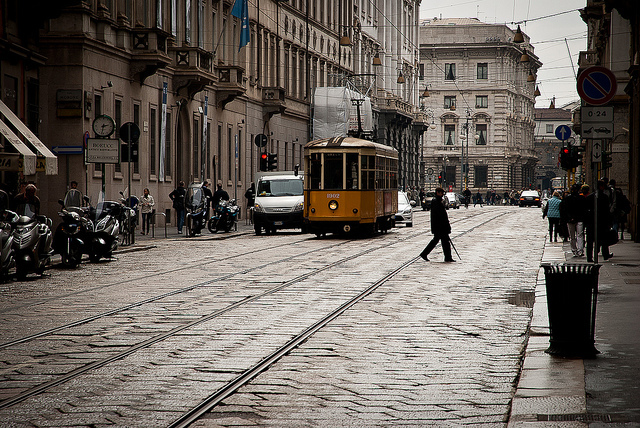 Milan has excelled in terms of preserving its history and artefacts of notable citizens. There are many museums and buildings of research located throughout the city. A few of the best include..
We are now back in Australia after spending 3 months in Europe. The car lease with Peugeot was the highlight of our holiday. The arrangements you made for us for the second time in 2 years was perfect and the all procedure was as easy as you told us to be. The Peugeot 2008 was the right size and we did 12000 Km around Europe in different countries effortless, and also when we needed to fix some electronic problems, a Peugeot dealer in Italy, promptly fix the problem at no cost to us. So, thank you once again UDrive.